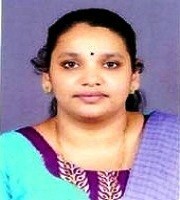 Mrs. Manju Varghese is working as Assistant Professor in Economics Government College Chittur. She took her post graduation from Government Victoria College, Palakkad and M.phil Degree from Bharathiyar University Coimbatore. She is specializing in Health Economics and pursuing her PhD in same area. She has 5 years teaching experience. She has a number of paper presentations and publications at regional national and international level at her account.